It’s no secret that Nintendo’s big first-party Switch game this holiday season is Super Smash Bros. Ultimate. They’ve already been hosting demo events at select Best Buy stores across the country, and now they’re bringing the game to some college football games! This should help give more players a chance to try the game out before its December 7, 2018 release date. Of course if they’d just release a demo on the eShop that would be nice as well, but we’re not holding our breath. When visiting the tour, fans will be treated to a cool setup in the parking lot that will host multiple Super Smash Bros. Ultimate impromptu competitions. Fans that play will not only have the chance to demo Super Smash Bros. Ultimate before it launches, but they will also earn bragging rights if they emerge victorious (and, really, isn’t that the most important thing?). The setup itself will be highly visual and perfect for photo ops, so even fans that decide not to play will have fun pics to share on their social media channels. Players who outplay their opponents in mini competitions will receive Super Smash Bros. Ultimate branded promotional items (while supplies last). Admission is free and there is no age restriction. For more information about the tour, visit https://smashbros.nintendo.com/events/college-tailgate-tour/. Super Smash Bros. Ultimate is the newest game in the long-running Super Smash Bros. series, and the first on Nintendo Switch. 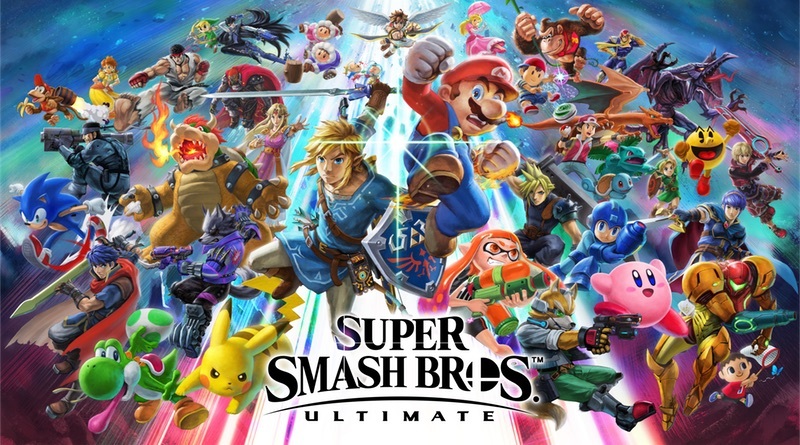 The game is one of the biggest crossover events in entertainment history, with more than 70 fighters, 100 stages and 900 music tracks from some of the most well-known video game franchises of all time. In addition to classic characters like Mario, Donkey Kong, Kirby and Link, two of the most recent fighters announced for the game are Simon Belmont from the Castlevania series and King K. Rool from Donkey Kong Country. For more information about Super Smash Bros. Ultimate, visit https://www.smashbros.com/.